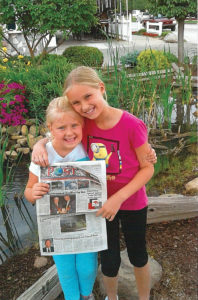 Hannah, 10, and her sister Hailey, 8, pose with The POST. 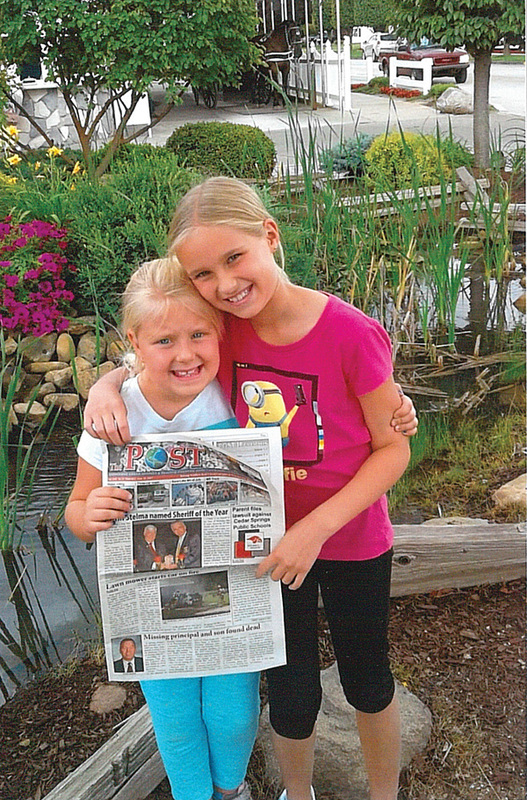 The Post recently traveled with the Dempsey family, of Solon Township, to Shipshewana, Indiana. Hannah, 10, her sister Hailey, 8, mom Kathy, and grandma Joyce Petersen stayed over night at the Blue Gate Hotel, where they swam a lot. They had fun at the petting zoo, did lots of shopping at the flea market, and enjoyed lots of good food. They waited to go on a horse and buggy ride, but the line was too long, so they went back to their hotel, and lo and behold, a carriage was parked right in front of the hotel! 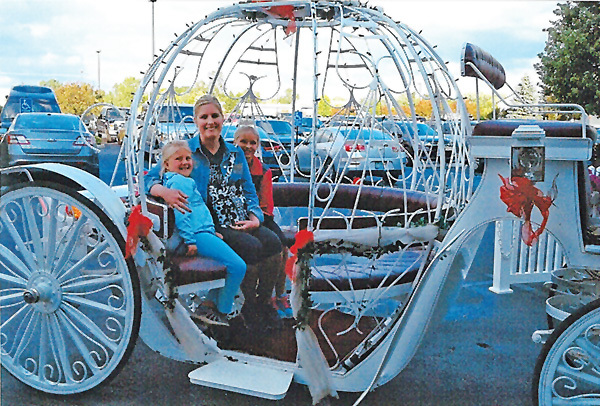 So the girls got their Cinderella carriage ride after all!